This was my fourth time in Yosemite in 6 years and fifth time overall. Although the place was the same, each visit was unique. This trip was planned early in 2016 as a quick car camping trip. Although our trip in 2011 had been in August, and this was just one month later, we knew that the visit would be much different. In 2011 there had been tremendous amounts of snow, so we had to delay our planned July trip to August to allow the snow to clear from the back country trails we planned to backpack on. With all that snow, the waterfalls were still roaring in August. We knew that 2016 would be very dry as we were coming off not one but four years of drought. 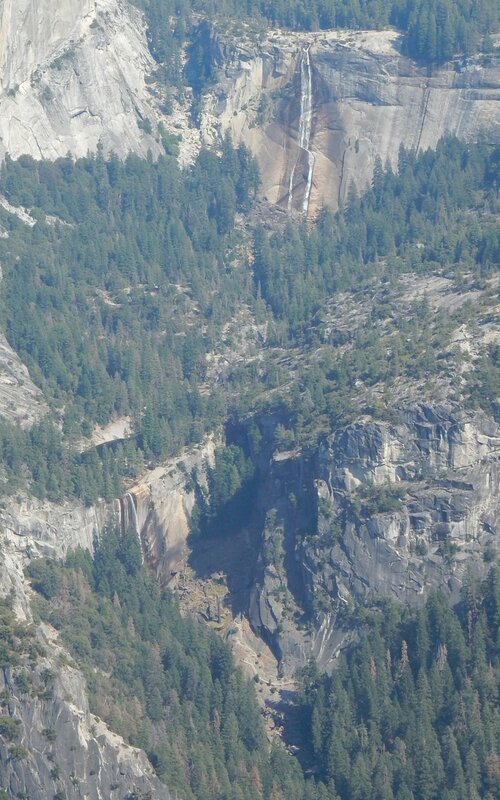 We love the waterfalls of Yosemite, but that is not all we love. Yosemite valley is the most beautiful place I’ve ever visited and that was no different in September 2016 than it had been any of my previous visits. The reason for the timing of our trip was that our friends Wendy and Dave Claman were coming to Southern California to visit with family at Disneyland. 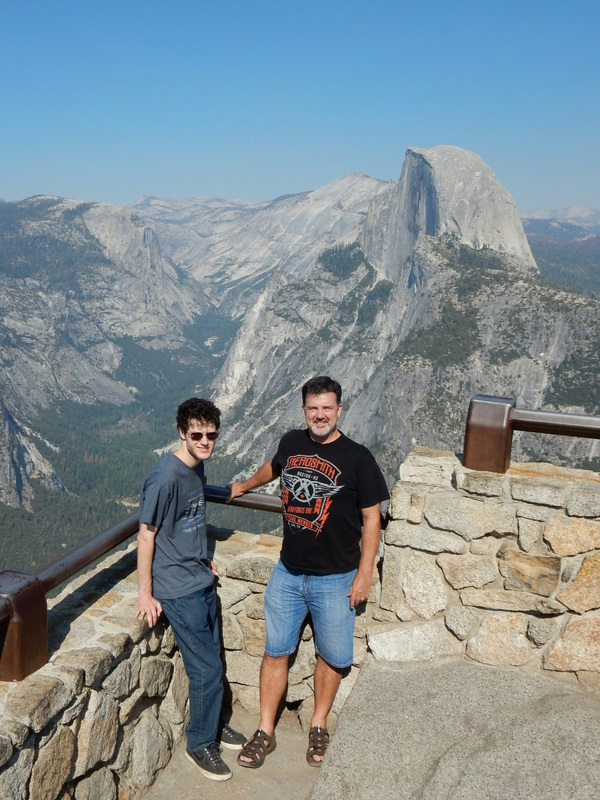 We would meet them immediately after their visit to Disneyland and drive together to Yosemite. We had car camped in Yosemite in 2010 and 2016 at a campgrounds well outside the valley, Hodgdon Meadow. In fact the campsite these 2 years were right next to each other. Hodgdon is about 20 miles from the valley, but it is a beautiful campgrounds and was, at least in 2010, a beautiful drive to the valley. By 2016 two major fires had devastated the areas both north and south of Hodgdon Meadow campground. However, we made reservations there again as that was the only campgrounds available when we finally decided to “do it” and worked out the details. When we arrived in Yosemite’s southern entrance we had to skip seeing the Mariposa Grove of Sequoias again as the grove was closed for renovations designed to protect the huge trees. I’ve seen the other 2 groves of Sequoias in Yosemite the Tuolumne and Merced Groves, but wanted to see the Mariposa Grove one of these days. We planned to head straight to the valley, but decided at the last minute that we would turn toward Glacier Point before heading to the valley. 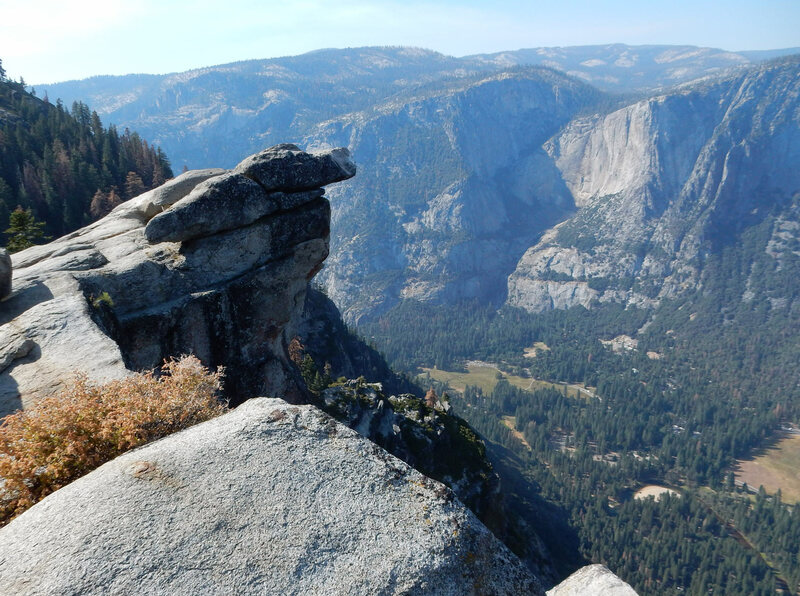 Glacier Point has some of the most spectacular views anywhere in Yosemite. It is almost surreal all of the spectacular things you can see from there. It is hard to put a scale to all that you are seeing. Of course Half Dome catches your eye right away. To the right of Half Dome you can see well into the distance many of the high Sierra snow-capped peaks. Take a closer look lower in the same view and you can make out both Vernal and Nevada Falls and parts of the Mist Trail. 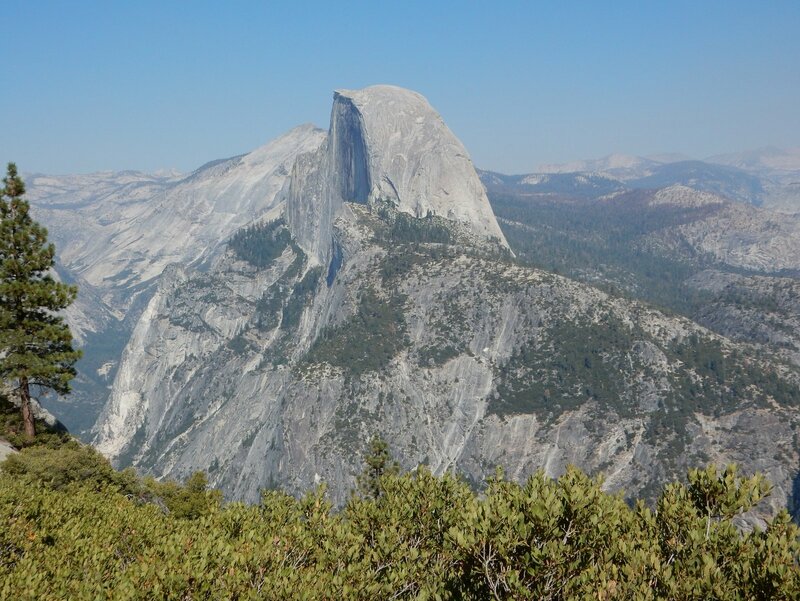 Although I’ve been to Glacier Point before, it was usually a quick trip or the start of a hike or backpacking trip. 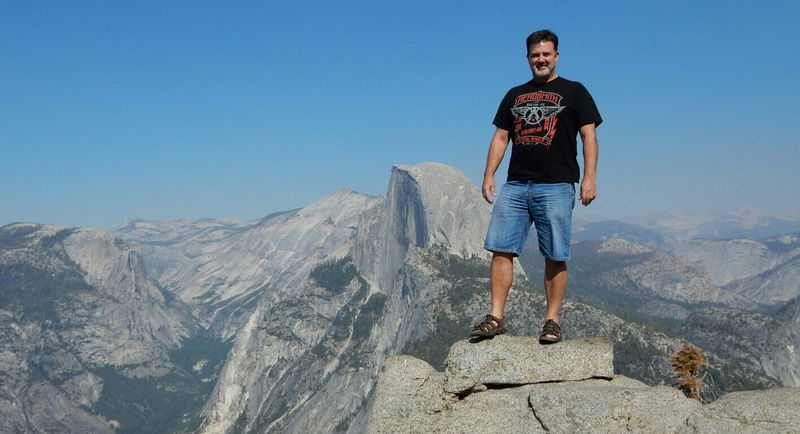 I’ve never taken the time to explore Glacier Point beyond the area right in front of the gift shop. 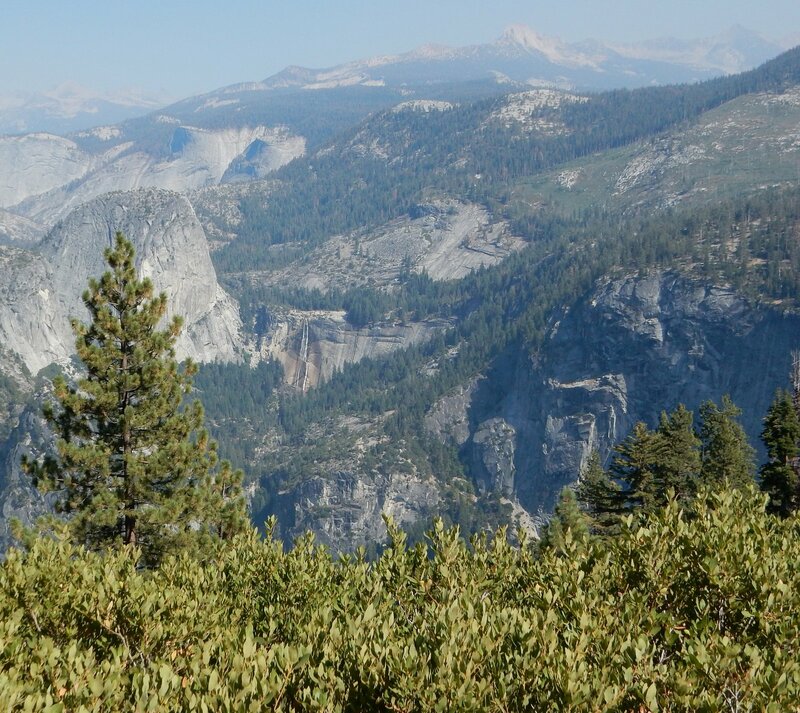 That first area you walk up to from the parking lot is actually the trail head for the short paved trail to Glacier Point. The views don’t change much as you walk toward the point, but there are “things of interest” all along the short trail if you walk back toward the true “Glacier Point”. The first stop on the short hike is the Geology Hut. It is a small stone structure with awesome views. If you watch close along the trail you are likely to see some wildlife even though it is a paved trail with tons of people walking on it. 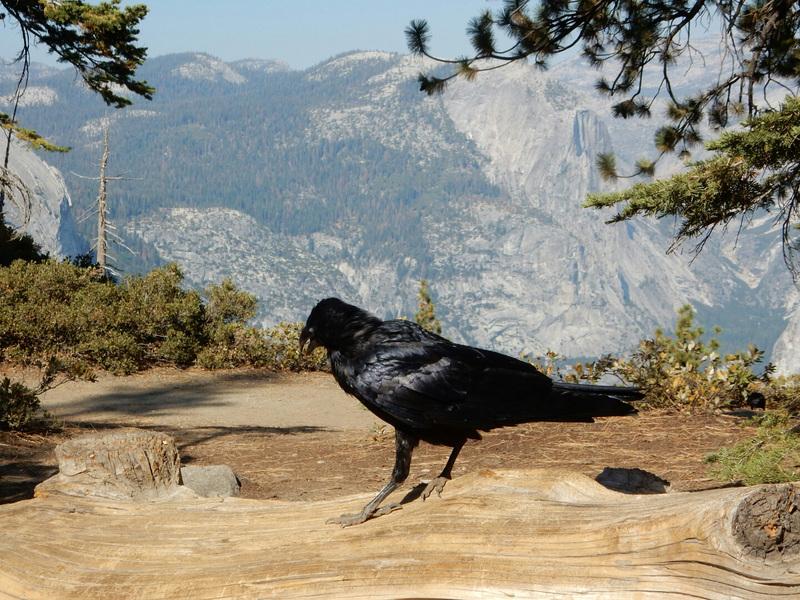 I got a good shot of this raven taking a rest. 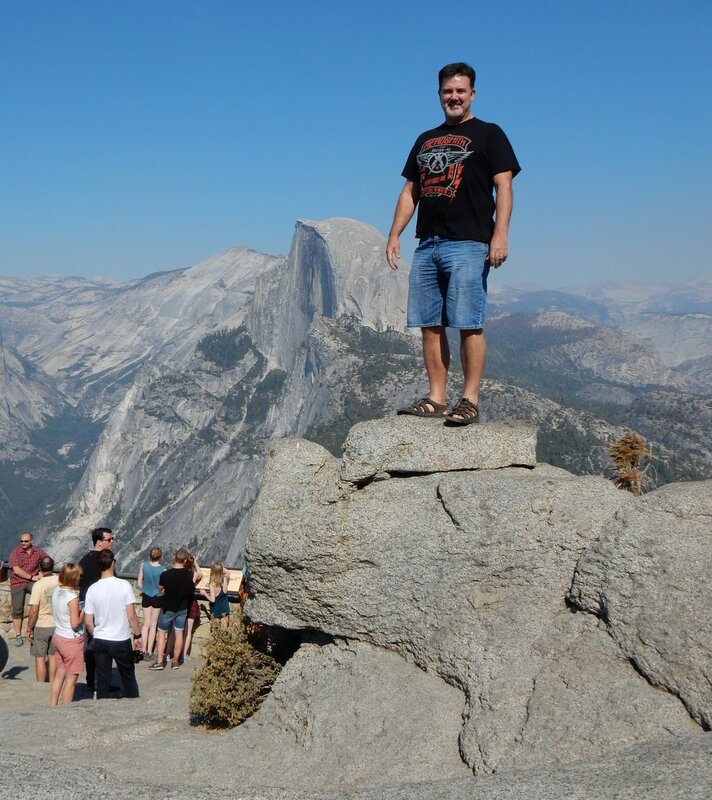 There are lots of opportunities for pictures when you get to the actual “Glacier Point”, but you’ll have to squeeze in to the crowd. 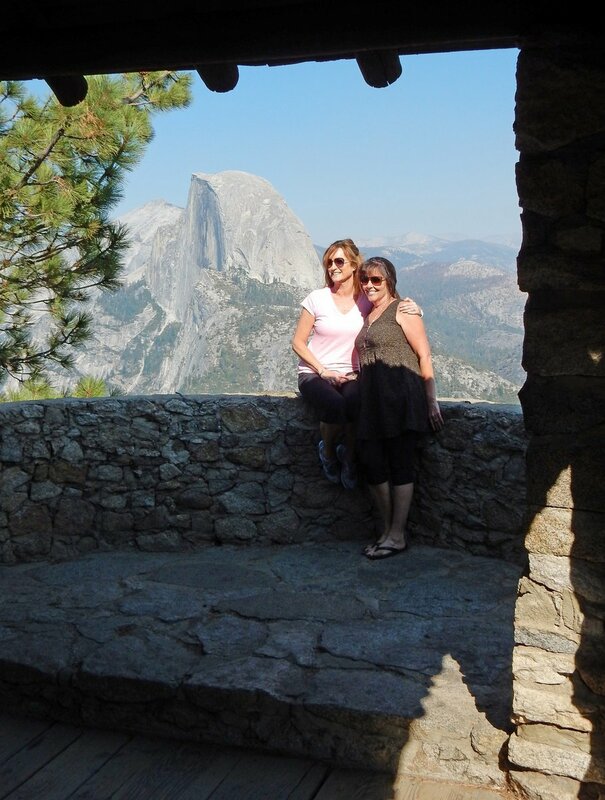 There are a few places to pose for pictures that are less crowded, like the famous overhang rock just a short walk off the end of the Glacier Point trail. and as you can see with the “crowd” back in the shot, it was much safer than overhang rock. 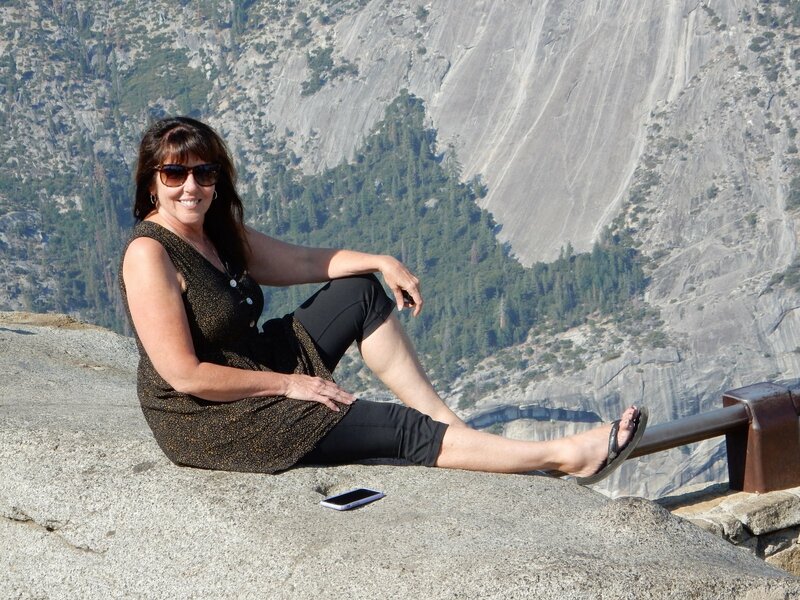 Jenny humored me and posed on a flat rock between the upper and lower viewing areas at Glacier Point. Creek campgrounds which is beside the road on the way back down from Glacier Point. That was a very good idea! Since we got there relatively early on a Thursday we were able to choose from quite a few camp sites. We got a nice site near the middle of the campgrounds, but very private. Bridalveil Creek campgrounds is a very nice place with plenty of large trees and some areas of rocks that are pretty cool too. 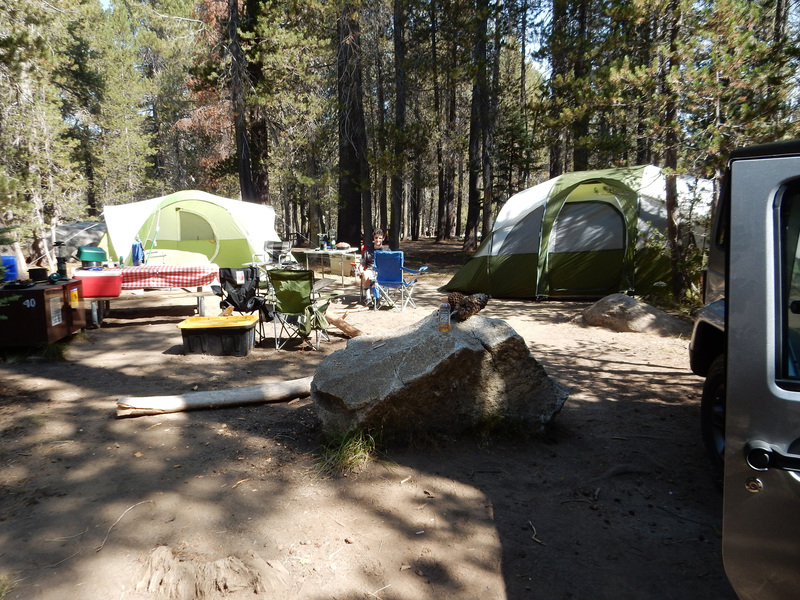 We initially wanted a site by the rocky area as they seemed even more private, but they were also smaller and we had two vehicles to park and planned to set up 2 fairly large tents for the 5 people in our group. But in the end we loved the site we finally selected. There was plenty of room to park, level ground for our tents, and a reasonable walk to the bathrooms. We set up camp, collected some fire wood for the camp fire, made dinner, and settled in for the night. I love sitting around the campfire sharing memories and making new one. I’ve been friends with Dave for more than 40 years, so there are lots of memories to talk about. One other thing was a bit unexpected about this trip and this campground. It can get really cold at Bridalveil Creek Campgrounds at night in September. The unexpected cold weather cut our campfire time down a bit, but still a great time. We would head down into the valley in the morning, but I’ll do a second post for day two.